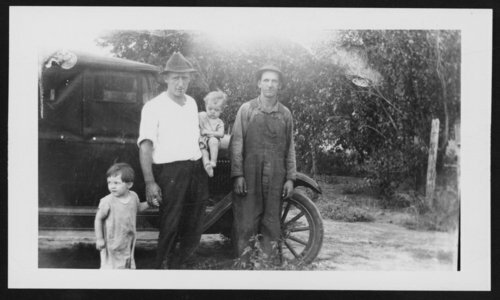 Here are four photographs of Elmer John Warner who was a farmer and mechanic in Cloud County, Kansas. He was born November 20, 1898 in Lincoln, Kansas, to John Ezra Warner and Sarah Dovey Cain. Elmer John Warner married Etta Elizabeth Beck on March 3, 1923, and they had two daughters, Earlene, born December 4, 1923 and Elda, born October 23, 1925.